Competitions are held at every level. Your child will need a coach and private instruction to prepare. For more information contact an instructor below. Phone numbers are provided for this purpose only. Christina is a United States Figure Skating Association 7th tester. As an amateur, she skated with the Winchester Figure Skating Club and trained under Donna Mancini. She won medals in Interclub, Open and New England competitions in figure and freestyle events. Christina turned professional in 1988. She is the Head Coach of the Burlington Hockey and Skating Association. She gives professional instruction to many private students at the Winchester Figure Skating Club, Colonial FSC, and the Hayden Rec. Center. Christina is also the Director of the Preschool Skating Camp in Woburn . Christina is an active member of the Professional Skating Association and currently holds a rating with them. She attended the World Conference in Las Vegas, Nevada in 2001 and in San Diego, California in 2004, where she got to meet her favorite skater of all time - Scott Hamilton! She also attended the World Conference in Chicago in May 2008. She attends Professional Skaters Association (PSA) seminars to keep her informed of the many changes that occur in figure skating on a yearly basis. In 2009, Christina passed all 4 courses for PSA continuing education credits in the following areas: Ethics, US Figure Skating Rules, Sports Safety, and International Judging System (IJS) making her a compliant coach in category A for the 2011 qualifying season. In 2010 she also passed Sports Safety/Science and "coaching the young skater." Christina has coached New England Regional champions and medalists and has had skaters compete in final rounds at the US Junior National Championships. She has also coached Adult National medalists in freestyle and showcase events. Christina enjoys coaching all levels of skating. Dawn is a graduate of the Billerica Hockey Association’s figure skating program and Burlington Hockey and Skating Association. Dawn volunteers her time teaching for both the Billerica and Burlington programs. 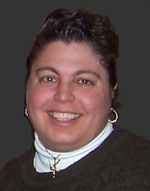 Dawn is also on staff at the Chelmsford Forum and Billerica programs and teaches group lessons. Dawn’s full time job is as a Web Developer/IS Support Analyst for Progress Software. Amanda has been a US Figure Skating professional for over 22 years and this is her seventh season back teaching with the BHSA program after a brief hiatus to start her family. As a former graduate of the program, Amanda has many laurels that she is truly proud of. Amanda is a double gold medalist in Moves in The Field and Free Skating. She was a competitor in the New England Regionals up to Junior Ladies. Qualifying in Juvenile and Intermediate Ladies. She is also an Eastern Sectional gold medalist. The University of Delaware helped further her education in this sport when she studied Figure Skating Science there. As a professional, she has trained students through their Senior Moves in The Field and also Free Skating. She has also had students qualify for Junior Nationals. The fundamentals of skating is where she now dedicates her time to the sport of Figure Skating. Jessica began figure skating at the age of six with the Burlington Hockey and Figure Skating Association. She represented the Winchester Figure Skating Club under the coaching of professional Christina Welch. Jessica is a Bay state Games gold medalist as well as a State Games of America bronze medalist in St Louis. Jessica has passed both Moves in the field and Freestyle tests through senior level. Jessica coached professionally throughout attending college at the University of Massachusetts Lowell. Jessica skated professionally around the world with Disney on Ice from 2011-2016. She also performed professionally in the Holiday Ice Spectacular in Atlanta in 2010 and Snoopy Rocks in California in 2011. She is now coaching professionally again with BHSA and the Winchester Figure Skating Club.